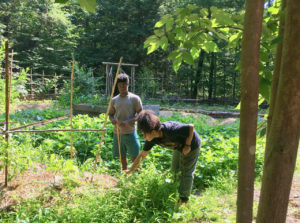 Although food is central to the wellbeing of everyone in Saugerties, food security and food justice are rarely discussed among its youth. According to the USDA, Food Security means access by all people at all times to enough food for an active, healthy life. Communities exercising their right to grow, sell, and eat fresh, nutritious, affordable, culturally-appropriate, and locally grown food with care for the well-being of the land, workers, and animals is Food Justice. Multiple environmental and economic factors threaten food security. Global water crisis, soil degradation, climate change, fossil fuel dependence, homogeneity in the food supply, and price setting are examples of issues that affect our access to food. Although food access is something that will be more challenging for everyone in the future, these issues will affect those in poverty the most. For this reason, we started the Saugerties Free Food Program. The Saugerties Free Food Program is a network of gardens that are overseen by The Underground Center (UGC). This project is designed to be an educational experience for the young people involved, and a model of how we can grow food locally and sustainably and ensure food security for all of our residents. Our work is split between a community garden created from a previously empty lot in town (Re:seed Saugerties), and a small scale farm at the UGC site. 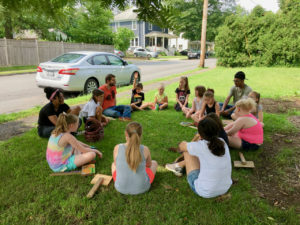 The summer interns and apprentices at the Underground Center collaborate with the Saugerties Boys & Girls Club to create and maintain these gardens. 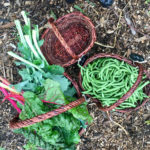 The young people involved gain experience farming in various conditions and learn how to grow, harvest and cook a diverse and delicious local diet. As we share what we learn, this cooperative growing system can be adopted by homes and organizations in Saugerties as a viable alternative to our environmentally destructive and expensive commercial agriculture system. Educating people in Saugerties about food security, food justice and the value of healthy food. Training local youth to be leaders in building sustainable food infrastructure in Saugerties. One main function of the garden is a tool to educate young people about food security, food justice and ways of growing food locally. This project continues to address these issues in multiple ways. 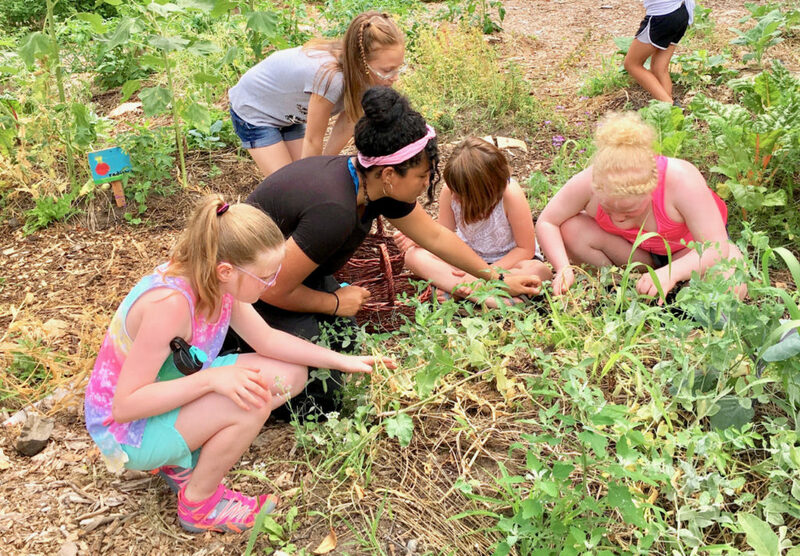 First, Boys & Girls Club members have already begun to see the value of local food through hands on experience in the garden throughout the year. This includes building soil, starting seeds, planting and caring for garden veggies, harvesting and cooking. The garden itself serves as a model for neighbors and community members to see how a lawn in town can be turned into a garden that can meet all of our nutrition needs without chemicals, machines, or large sums of money. Also, through public school visits, community events and online publications, we share what we learn through our work to continually improve local food production. All of the food grown as part of the Saugerties Free Food Program is harvested and distributed or cooked for members Boys & Girls Club and their families. By eating nutritious and healthy food, the kids learn the true value of local farming! Another important goal of this program is to train young people to be leaders in making our community more sustainable and just. We believe this isbest done by teaching skills to young people, demonstrating cooperative ways of working together and giving teens responsibility for nurturing gardens. One way we are doing this is by running a college internship where interns host educational programs in the gardens with Boys & Girls Club kids. Also, through our apprenticeship program, we teach teens in high school skills in building small scale sustainable infrastructure including rain catches and solar electric systems to create self sustaining community gardens. This year, we are offering a paid apprenticeship to two local young residents. Their responsibility will be watering and harvesting, planting and maintaining fruit bushes, beautifying the garden, helping run educational programming and publishing what we learn in the gardens on our website. In the future, we hope that our apprentices and the young people that participate in this program will become leaders in a workforce to transition our local community into a more sustainable and just place. We believe it is possible to feed everyone in our community, regardless of their economic standing. The Free Food Program will be a model for how we can feed everyone in our community healthy food without exploiting the land or the workers.